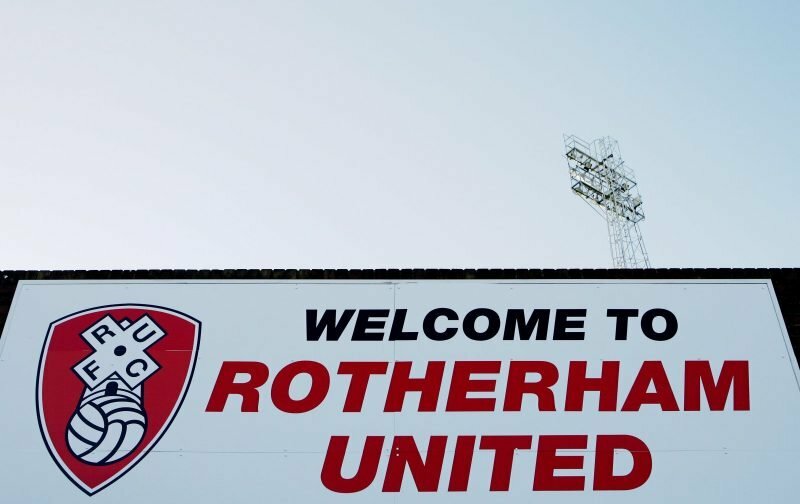 RUFC – Which Millers Will Be Hoping For A New Contract? Rotherham United will be busy sorting themselves out for the play-offs in the coming weeks but Manager Paul Warne will also be thinking about the business he needs to do in the summer, fetching players in/sending players out – but with six first team players out of contract and the loan players to consider will he be sorting out these contracts first? And who of those players will he offer new contracts or try to keep? Defender Joe Mattock joined the Millers three years ago on a free transfer from neighbours Sheffield Wednesday. He has played over one hundred games for Rotherham and has got more red cards than goals! His only goal this season came in our one-nil win away at Portsmouth. Richard Wood has worn the captains armband this season. Joining from Charlton in the summer of 2014, Woody has had three loan spells while being a Miller. He has played over ninety games in a Rotherham shirt scoring a handful of goals. Goalkeeper Lewis Price was also a free transfer from the Owls joining in July 2016. Playing just twenty-two games, Lewis has been mostly on the bench this season playing just twice with one of those being in the League. Also looking for a new contract will be goalkeeper Laurence Bilboe who signed his first professional contract two years ago and although he hasn’t played a first team game he’s spent a lot of time on the bench this season. Shaun Cummings signed a one year deal in August last year from Millwall. The twenty-nine year old defender had a good spell in the team at the start of the season but fell out of favour a little around Christmas time. Striker Jonson Clarke-Harris was the clubs record signing when he joined from Oldham in September 2014. His first season he played sixteen times in a Rotherham shirt while also having loan spells with MK Dons and Doncaster Rovers. He played thirty-seven games scoring six times in the following season but then a bad pre-season injury kept him out of the game until April when he managed a handful of games before the end of the season. After eighteen appearances this season he has been out on loan with Coventry City since the end of January. Not being the prolific goalscorer I think the Millers were hoping he would be when he signed he’s managed just ten goals for Rotherham. Signing on the last day of the summer transfer window Richie Towell joined on a season long loan from Brighton and Hove Albion. The midfielder has helped the Millers with six goals in the forty-one games he’s played. Twenty-one year old goalkeeper Marek Rodak is another player who joined in the last days of the summer transfer, this time from Fulham. Keeping twelve clean sheets the young Slovakian has got gained confidence with every game he’s played and been an asset between the sticks. Josh Emmanuel is another young man who is on loan from Ipswich Town. Defender Josh has played thirty-four games this season and, after a bit of a shaky start, is another who has got better as the season has gone on. Striker Caolan Lavery came at the end of January on loan from neighbours Sheffield United with all but one of his appearances coming off the bench. The twenty-five year old might not have played that many minutes in a Rotherham shirt but has scored twice. Personally, I’d like to think we could get all the loan players back for next season, whether it’s another loan deal or offer them a contract with the club. Of the players out of contract I’d be surprised if new deals were offered to Jonson Clarke-Harris or Shaun Cummings. What about you? Who would you offer a new contract too? Is there any of the loan players you’d like to see at the New York Stadium again next season?